It is considered the most widely consumed psychoactive substance worldwide and is hidden in clandestine quantities of soda bottles, chocolate bars, coffees mugs, and infamous energy drink cans. Legend says the caffeine craze all began when Kaldi, a North African herder, saw his goats eat wild berries, which gave them sprightly energy that kept them up at night. What did those caffeinated berries do to Kaldi’s goats? What is caffeine doing inside our brains that seems to magically wake us up out of our run-down bodies? Albeit caffeine is a natural substance, in its purest form it is a white powder that acts as a chemical chameleon inside the brain. It enters into the body and is distributed throughout the bloodstream through the lining of the stomach and small intestine, where eventually it ends up in your brain and acts as another compound, known as adenosine. The adenosine molecule is responsible for signaling the body that it hasn’t had a sufficient amount of rest and is tired. Adenosine and caffeine are almost identical-looking molecules, so the brain can’t tell the difference and accepts the caffeine when available. It essentially blocks adenosine from binding with brain cells and telling them the body is tired. The caffeine roadblock causes stimulating effects as early as 15 minutes and continues to cause increased heart rate and blood pressure until it wears off about six hours later. It only takes 30 milligrams of caffeine to cause a buzz, but 10 grams is enough to stimulate a person into cardiac arrest. Two years ago researchers tested the adenosine receptors and, for the first time, watched the binding sites of caffeine in a live human brain using molecular imaging. Caffeine bonded itself and successfully blocked half of the adenosine receptors from telling the brain that the body was tired. But its effects don’t stop when a person puts down their coffee mug or soda glass. Researchers found something more novel and profound. 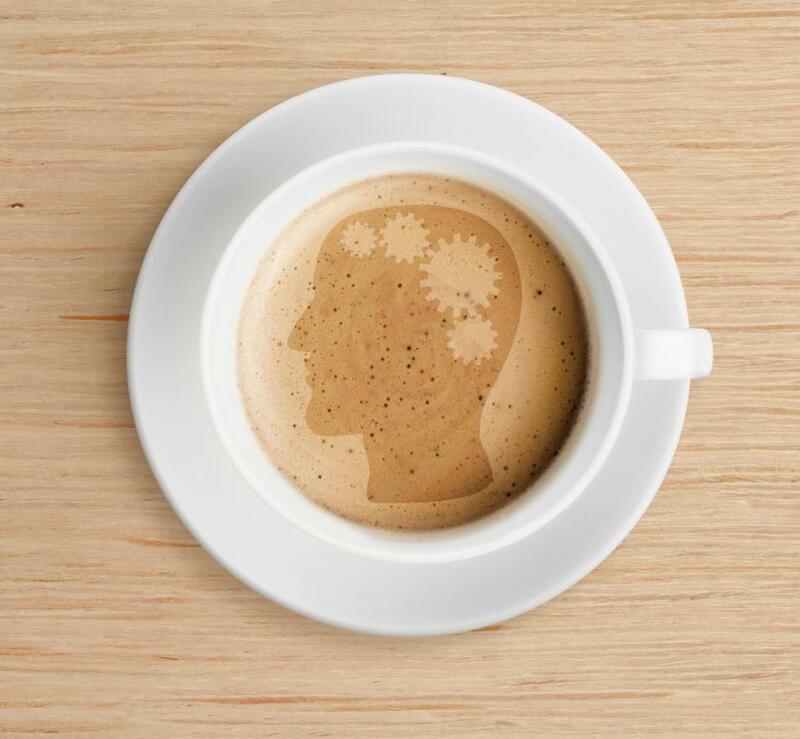 "There is substantial evidence that caffeine is protective against neurodegenerative diseases like Parkinson's or Alzheimer's disease," said David Elmenhorst, lead author of the study and researcher for the Institute of Neuroscience and Medicine. "Several investigations show that moderate coffee consumption of three to five cups per day at mid-life is linked to a reduced risk of dementia in late life." Researchers are currently exploring the idea that caffeine’s impersonation of another receptor may be a way to protect people from neurodegenerative diseases. But what if too many people consume too much caffeine? A recent study published in the Journal of Caffeine last fall yielded the collaborate efforts of researchers from Johns Hopkins University School of Medicine, the University of Vermont, and American University, which reveals the dangers of too much of a good thing. More than 80 percent of the United States adults consume caffeine every day, and researchers have found that many people who have such an intense dependence on caffeine, experience withdrawal symptoms and report that they wouldn't quit even if it put them at risk during pregnancy, or in the case of a heart condition, or bleeding disorder. Researchers have named the condition “Caffeine Use Disorder,” which characterizes people who find it difficult to quit to the point it interferes with their daily routine. Last spring, the American Psychiatric Association announced it will officially recognize the disorder as a health concern that requires addition research. Have you ever waited on line to get a coffee before work and wound up late because you needed one that badly? Caffeine is so socially acceptable that people’s unreasonable dependencies often slide under the radar. How Much Are You Consuming? You may have no idea how many milligrams of caffeine you ingest per day, because companies aren’t required to tell its consumers. An overdose can lead to caffeine intoxication, which include symptoms of anxiety, nervousness, restlessness, irregular heartbeat, and insomnia. In extreme cases, a large overdose can lead to hallucinations, depression and even fatality. Deaths occur more often in children than it does in adults due to their smaller frame, which is easier to overwhelm with a stimulant than an adult body. “At this time, manufacturers are not required to label caffeine amounts and some products such as energy drinks do not have regulated limits on caffeine,” said Dr. Laura Juliano, the director of Behavioral Pharmacology and Health Promotion Laboratory at American University. She believes if labels were mandated, people would be better educated and refrain from extreme consumption levels and ideally, avoid caffeine’s possible negative effects. However, technology may replace the need for labeling. Researchers at the National University of Singapore and the National Institute of Science and Technology have developed a handheld caffeine sensor named “Caffeine Orange” and published its research applications in the journal Scientific Reports last year. The detection kit emits a laser that points directly into the caffeinated drink in question, and lights up red, yellow, or green to indicate high, medium, or low levels of caffeine, respectively. While there is still little to no labeling and the sensor hasn’t been available for purchase yet, adult caffeine consumers should use a rule of thumb not to consume more than 400 milligrams per day, as advised by Mayo Clinic. You probably aren’t sure how much that is though, considering measuring caffeine consumption isn’t regularly practiced. Four-hundred milligrams is about two four cups of brewed coffee, 10 cans of soda, or two energy shots. But, as the experts advise, try keeping it to a minimum of 100 milligrams per day. It’s important to keep in mind that caffeine isn’t really giving you energy, because in reality that energy drink you’re drinking is really just blocking a signal to your brain. Adenosine stands to the side and waits to tell your brain you’re tired, while caffeine continues to occupy its position inside your brain. The longer you’re awake, the more adenosine builds up inside your brains. Once caffeine detaches from the receptors, adenosine can bond with its brain cells, slow them down and make you feel the natural tired you were originally meant to feel, and then some. This is also known as the crash, which most caffeine consumers experience. Caffeine just puts off the inevitable inside the brain, which is why the next morning a regular coffee drinker will have symptoms of withdrawal and cause them to reach for their next cup in a cyclical effort to stay awake.